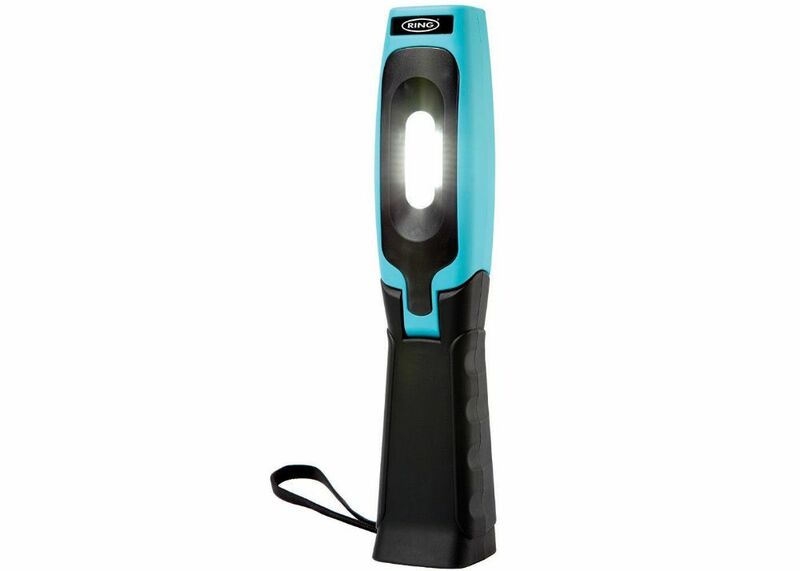 The Ring MAGflex UV LED Inspection Lamp is rechargeable and cordless and has a 440 lumen light output. With a multi position ratchet for directional lighting, the MAGflex UV provides light where you need. A white light output simulates daylight, putting less strain on the eyes. For hands-free use, the inspection lamp includes a magnet and two integral hanging hooks, allowing placement almost anywhere in a workshop or garage. There is a 6 LED UV lamp function to help show fluorescent dyes that are used to detect leaks.